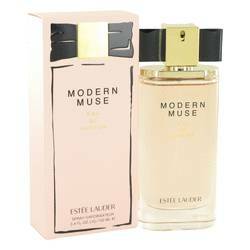 Modern Muse Perfume by Estee Lauder, If you like your fragrances on the complex side but find most oriental-inspired scents to be overwhelming, estee lauder’s modern muse could be the perfume for you. Launched in 2013 and it won a fifi in 2014, this women’s fragrance starts with a top note of citrusy orange but quickly cools to a sweet, feminine floral featuring honeysuckle and jasmine over spicy base notes of patchouli and musk. Modern muse is a grown-up perfume for the confident modern woman. Smooth and sophisticated, it’s an ideal fragrance for warm summer days and office wear.